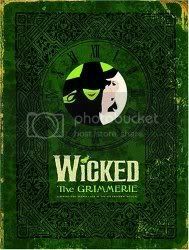 If you are a fan of the Broadway hit musical, Wicked, than this book is for you! The title speaks for itself, this is nothing more than a look behind the creation of Wicked, with photos and design sketches, info on the cast, spells, inside stories and more throughout. If you love the musical like I do, you have to have this book.